First! 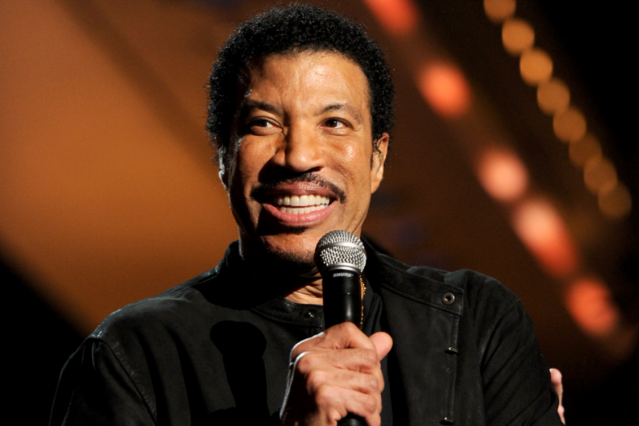 After some impressive Home Shopping Network finagling didn’t net Lionel Richie enough sales to beat Madonna in a tough week, the singer finally convinced fans to look for him. The result: Richie hit No. 1 on the Billboard 200 with his latest effort, Tuskegee, which sold 129,000 this week. The secret of his success, as Billboard point out, was likely a CBS special that aired last week called ACM Presents: Lionel Richie & Friends in Concert, which was viewed by more than 7 million people. 2 Through 10: Adele bravely holds down the fort at No. 2 with 92,000, while Nicki Minaj remains in the top 5, at No. 3, with 81,000 copies of Pink Friday: Roman Reloaded (nearly 70 percent fewer than last week’s No. 1-worthy 253,000, but it’s a usual drop for a second week). Monica snags her fifth top 10 debut at No. 4 for New Life (69,000), while One Direction holds onto No. 5 (66,000). Bonnie Raitt has blown minds with Slipstream’s No. 6 debut (64,000) — she hasn’t seen the top 10 since 1994, despite having released three albums since. No. 7 belongs to the slow-boiling superstar Gotye’s Making Mirrors (54,000 — more on his ascent below), and Alabama Shakes move into the top 10, to No. 8, with Boys and Girls, which was released on iTunes two weeks ago, then got a physical release this past week. Rascal Flatts’ Changed hits No. 9 (41,000), but it’s Hoodie Allen with the weirdest top-10 story: the ex-Google-employee-turned-Internet-rapper, who’s dropped a few free mixtapes, sold 28,000 copies of his first EP, All American, to land in tenth place. Go, Go Gotye: The Australian songwriter is blowing up everything, including SNL and Glee with his song “Somebody That I Used to Know.” His myriad appearances got him a 111 percent album-sales boost, and lands him atop the Hot 100 chart for the first time. Tags: Alabama Shakes, Bonnie Raitt, Gotye, Hoodie Allen, lionel richie, madonna, Music News, Who Charted?